We created the perfect, easy, and oh-so-handy Christmas gift guides. Whether you’re shopping for your sweetheart, your foodie best friend, or need simple gifts under $30 for the whole crew, these lists have you covered. Happy gifting! For those of you who are budget-minded, stocking-stuffers, or secret Santas, this list is for you! This gift guide has 10 amazing presents that they’ll never know were totally budget friendly. See guide. This gift guide includes presents that bring big smiles and small price tags. 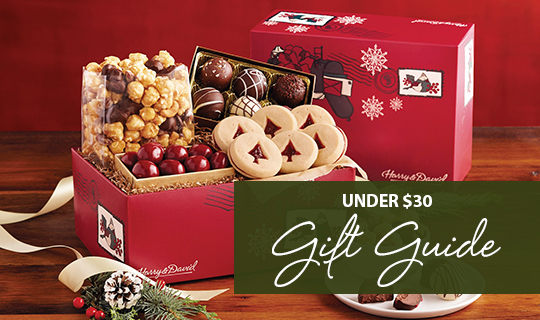 This list is full of charming, traditional gift towers, decadent desserts and a few sweet surprises that will thrill your loved ones. See guide. This list makes it easy for you to deliver all the women in your life the sweet holiday they deserve. 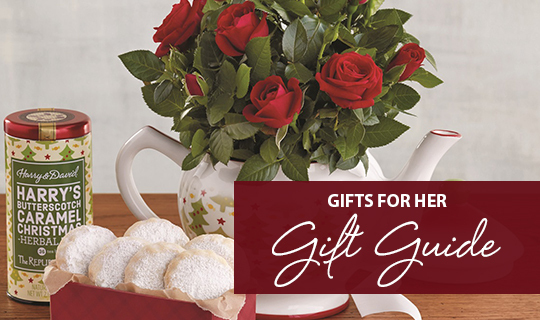 From festive florals to baskets of goodies, each gift on this list will make her start singing Christmas carols. See guide. 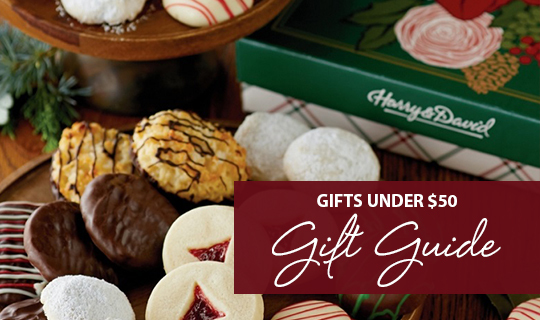 This list is full of gourmet goodies to satisfy any of the guys on your Christmas list. 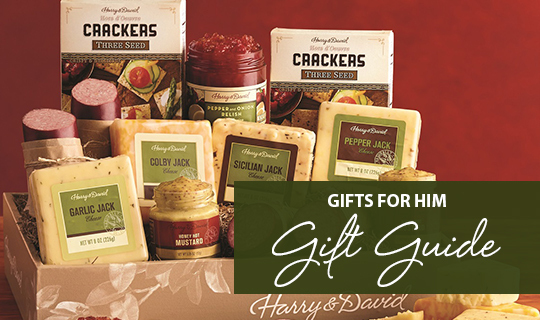 Whether he likes salty snacks, premium steaks, or chocolate-covered-everything there is no doubt he will love each of these prime presents. See guide. 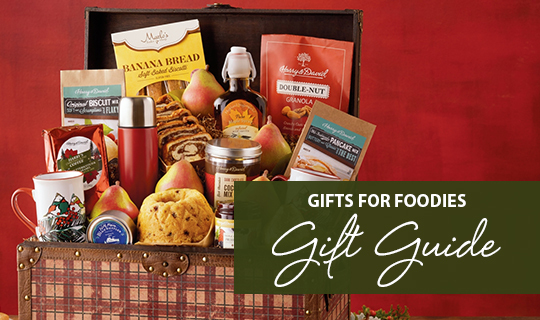 When it comes to food-lovers, we have gifts to satisfy nearly every taste. With so many delicious gourmet food options, it can be overwhelming to narrow down the options! Have no fear, because we made you a list to please every one of your foodie friends. See guide. 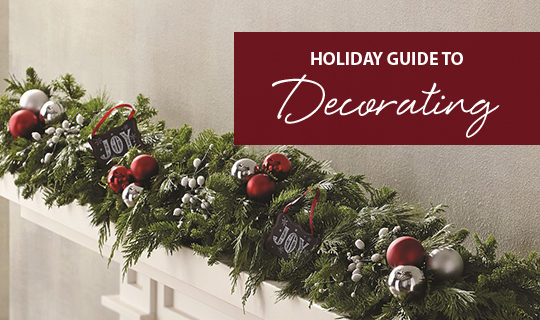 From wreaths to centerpieces to garlands, this list has 11 beautiful ways to spread the holiday spirit. Whether you give these darling decorations as a gift to your favorite family or you use them to add a little sparkle to your own home, this list certainly brings the cheer!